Raigad is a hill fortress situated in the modern day near Mahad, Raigad district of Maharashtra, India. 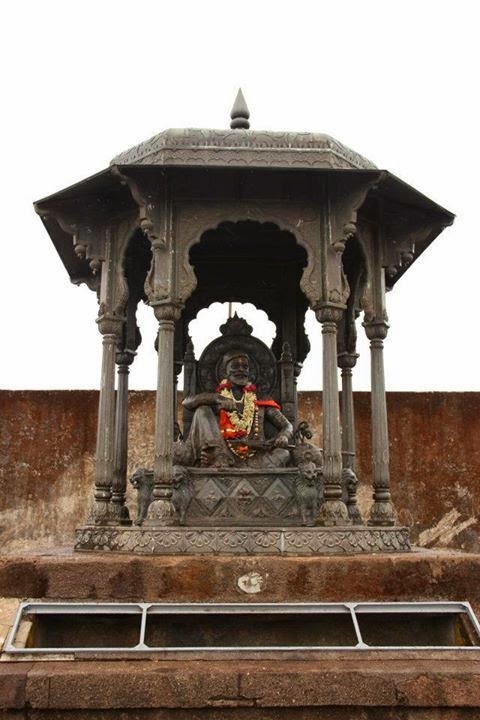 The Maratha king Shivaji Maharaj made the fort his capital in 1674 when he was crowned King of a Maratha Kingdom which later developed into the Maratha Empire eventually covering majority of modern day India. The fort, which rises 820 metres (2,700 ft) above sea level, is located in the Sahyadri mountain range. There are approximately 1400–1450 steps leading to the fort, though today a rope-way exists to reach the top of the fort. The fort was looted and destroyed by the British upon siege. 1. By taking the trekking route and on the way witness the great architecture of the fort. 2. By taking the Rope way, cost Rs. 185 (Both ways which is not included in the cost) and can experience the scenic beauty while approaching towards top. 23.00 Hrs: – Leave for Raigad, by private vehicle. Trek Fees: INR 900.00 per Person includes travelling from Pune to Pune by private transport, Entry Fees, Breakfast, Lunch, and Refreshments. Registration and Payment Details: For Registration one needs to call and SMS us Name and Email Addresses of participant along with alternate contact number, to any of the coordinator mention in below contact and transfer payment of INR 900.00 in the account details mentioned below. Or mail us info@wildrangers.in.